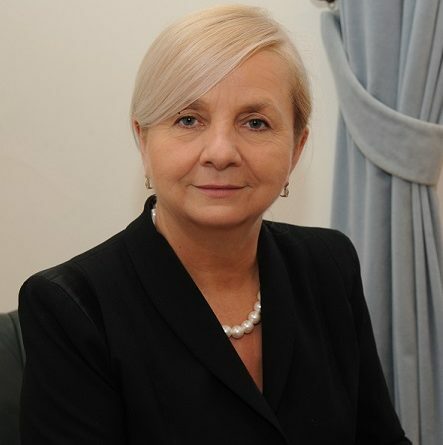 Elżbieta Koterba, deputy president for development of the city of Krakow, was fired earlier this week in what many observers see as part of Krakow president Jacek Majchrowski’s reelection strategy. According to a press release from Majchrowski’s office on Monday, the reason for Koterba’s firing was “unacceptable conflict of interest.” It cited her involvement in the construction program “Mieszkanie Plus” (“Apartment Plus”), a development project in the southern part of the city. The firm Biuro Rozwoju Krakowa S.A. (Krakow Development Office), where Koterba used to work and which is now led by her son and husband, could stand to gain significantly from deals with the city connected to this project. The timing has many commentators skeptical about this justification, however. The Polish-language news portal Onet has been publishing critical reports about Koterba’s conflicts of interest for months, including the fact that 1 million PLN has already been transferred to the Krakow Development Office with her approval. Yet Majchrowski has maintained that the work done by Koterba up to this point has not been problematic. It seems more likely that this is a move to placate critics and eliminate an opposition talking point in the run-up to this autumn’s elections, in which Majchrowski is seeking a historic fifth term as city president. 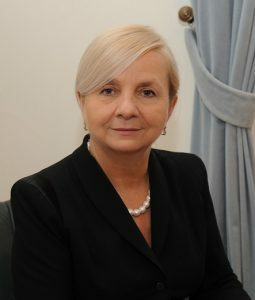 In her nearly eight years in the position, in which she was responsible for overseeing and approving the urban planning of Krakow, Koterba made a name for herself as both one of the most powerful and most controversial figures in local government. She won a number of awards, including thrice being named “Most Influential Woman of Lesser Poland” by readers of the Polish-language newspaper Gazeta Krakowska. Miasto Kobiet (City Woman), in a 2016 interview with her, lauded her 12-hour workdays and even cited her as a fashion inspiration. On the other hand, she also became a lightning rod for critics who charge that recent city development has been overzealous, irresponsible, and poorly managed. Conflicts of interest aside, there have been many complaints that Koterba has been responsible for her office issuing building permits improperly, changing the zoning permissions after approval has been given (e.g., allowing land that had been approved for a school to be used for flats instead), insufficiently investing in public spaces, cutting down too many trees, and not doing enough to provide air corridors to combat Krakow’s deadly smog problem. Koterba was one of four deputy presidents responsible for overseeing various areas of city government – the others being ‘investment and infrastructure’, ‘social policy, culture and city promotion’, and ‘education and sport’. Koterba has said that she found out about her firing from the media while she was on vacation, and that she would make further statements upon her return.